The sweetest listing you have ever seen. Forget about the calories for a few minutes! The name of this cake has nothing in common with its ingredients. The thick soufflé covered with dark chocolate is one of Russia’s most beloved treats! This was the first cake to be patented in the Soviet Union in 1982. The recipe was developed by a team of confectioners under the leadership of Vladimir Guralnik - chief dessert maker at Moscow’s legendary Prague restaurant. 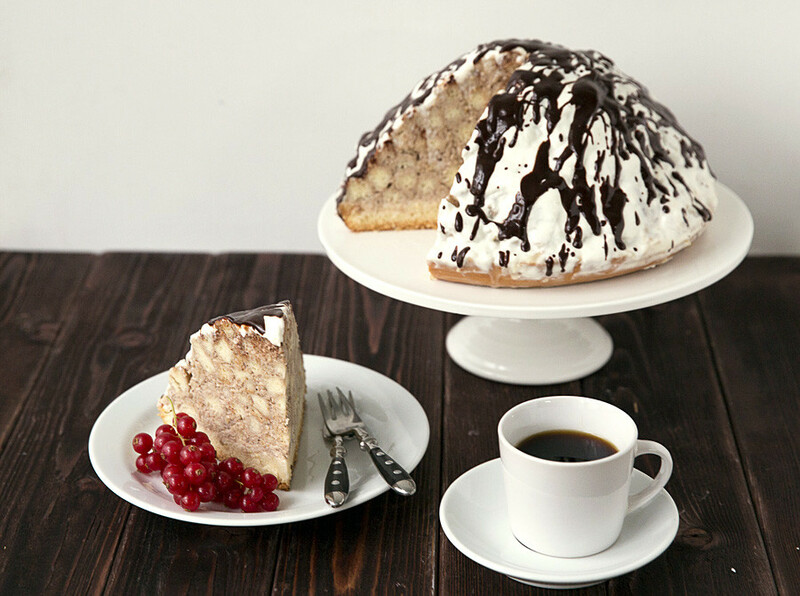 You can try this cake across Russia in shops, cafés, and restaurants. In Vladivostok (Russia’s Far East) confectioners produce their own version of Ptichye Moloko candies with agar-agar instead of gelatin. 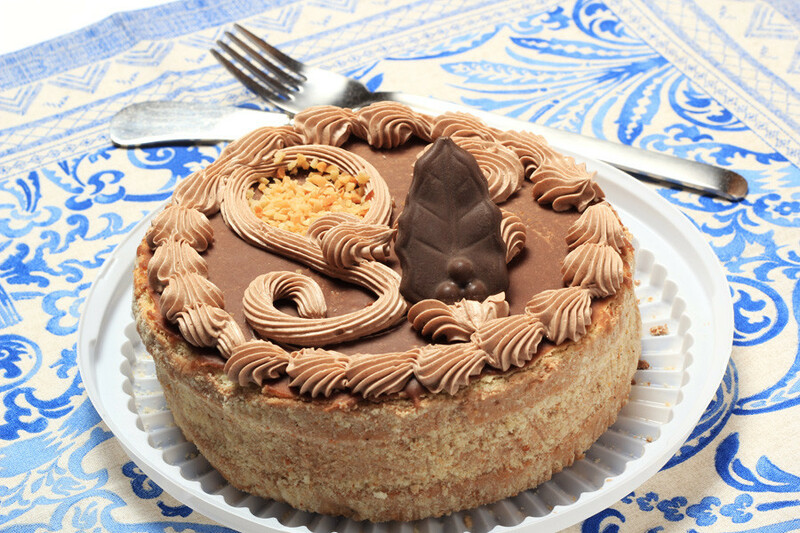 According to legend, Napoleon cake was invented to honor 100 years since the victory against the French army in 1812. This multi-layer cake with pastry cream is the first choice for a holiday feast in Russia. 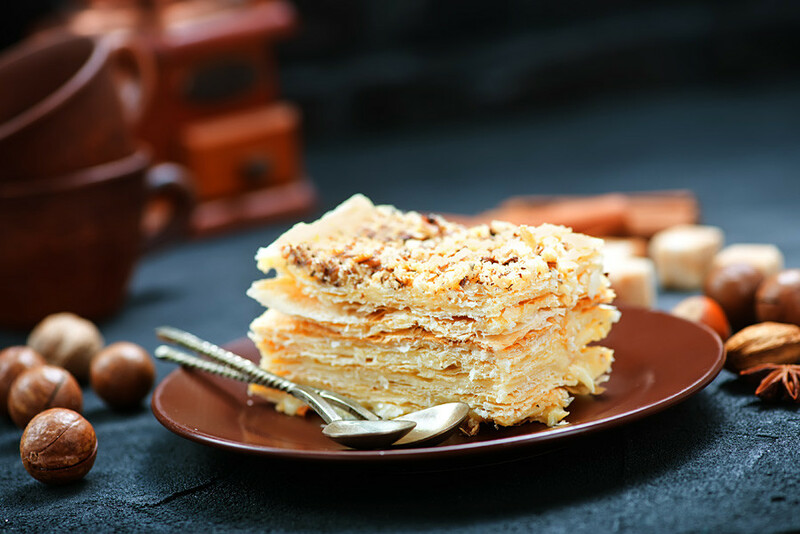 You can find similar cakes in other countries: The French call it millefeuille ("a thousand layers"), in the UK it’s known as vanilla slice, while in Belgium – tompouce. This cake is creamy and tender; it just melts in the mouth. And you can easily make it at home. The Polyot cake was a favorite during the USSR, but the story of its appearance is a mystery. Nevertheless, its tender meringue foundation and amazing buttercream are almost unparalleled when it comes to taste and indulgence. 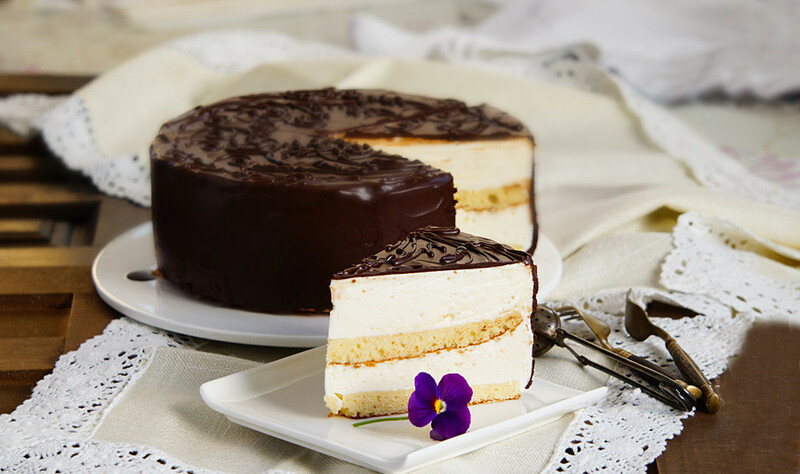 The classical Polyot cake is usually served up for holidays, but if you want, everyday can be a holiday. 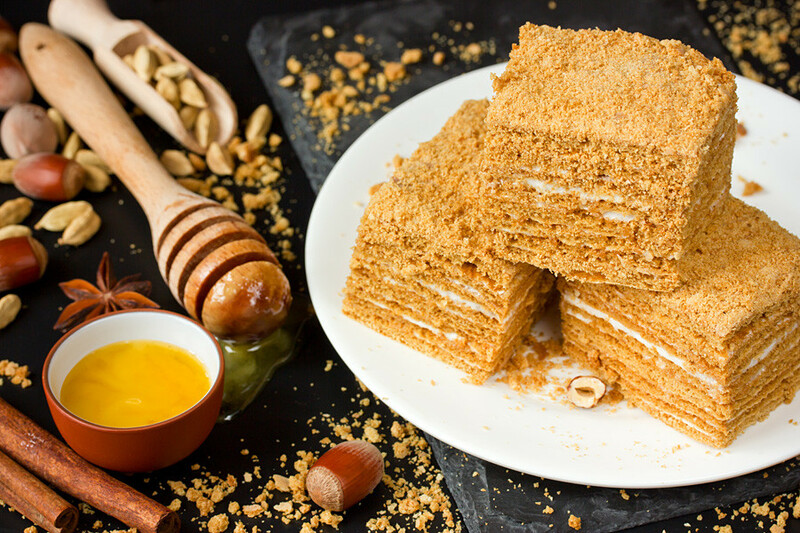 The sweet history of honey cake (medovik is from “med” – honey) begins in the early 19th century in the kitchen of Emperor Alexander I. His wife, Empress Elizabeth, couldn’t stand honey - any dish made with it drove her mad. One day, however, a young new confectioner in the Imperial kitchen wasn’t aware of this, so he baked a new cake with honey and thick sour cream. Surprisingly, and oblivious to the honey content, Empress Elizabeth immediately fell in love with the delicious pudding. Today, there are numerous variations of medovik: With condensed milk, buttercream, or custard. The chocolatiest cake in Russia - hands down. The Praga was developed by the same confectioners from the Praga restaurant responsible for the Ptichye Moloko cake in the 1970s, and it symbolizes the pinnacle of Soviet glamor and luxury. Its taste is similar to the famous Sacher torte, but its recipe features other ingredients based on butter and condensed milk. 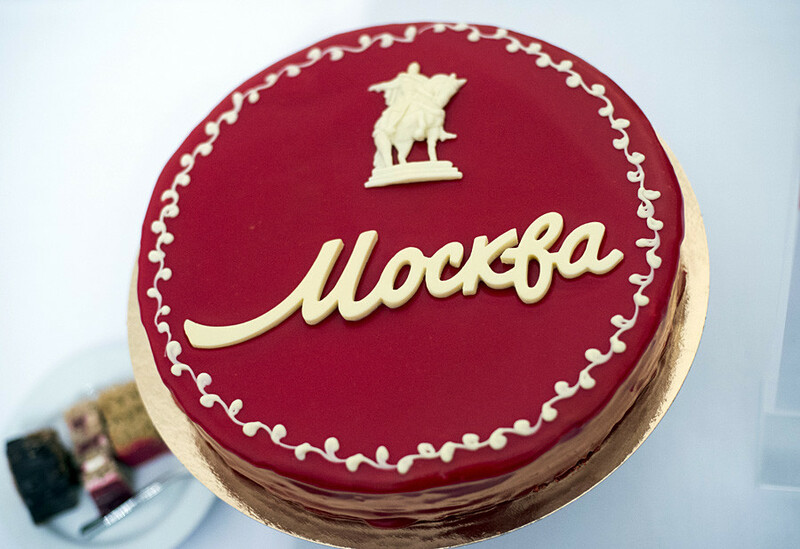 This new cake was developed in 2015 and has become a culinary symbol of Moscow. The dessert won its title after more than 200,000 people voted for it. 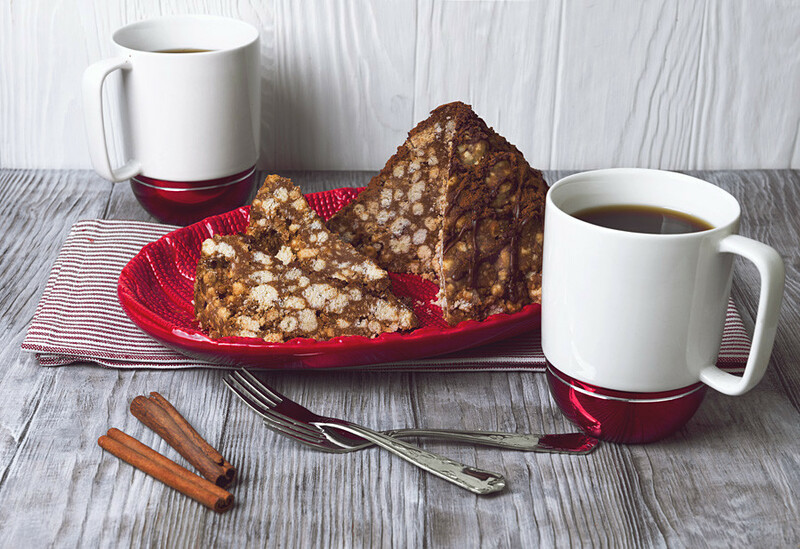 It’s packed full of walnuts and condensed milk, has four layers with cream, and is glazed with red icing. It’s served everywhere in the Russian capital. The name of this cake means an “anthill” because of its shape. This is a quick pudding that could be made from ingredients found in every Soviet kitchen. The simple muraveynik consists of crumbled cookies mixed with cream and piled into a hill shape. Most Russian families have their own recipe. Today you can find this cake in any shop or try to make it at home. 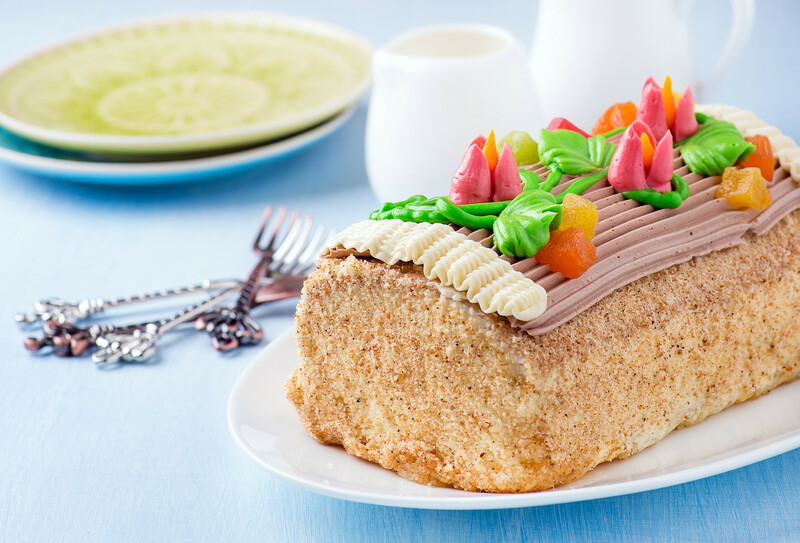 Numerous festive cakes in Russia are in the shape of a log. 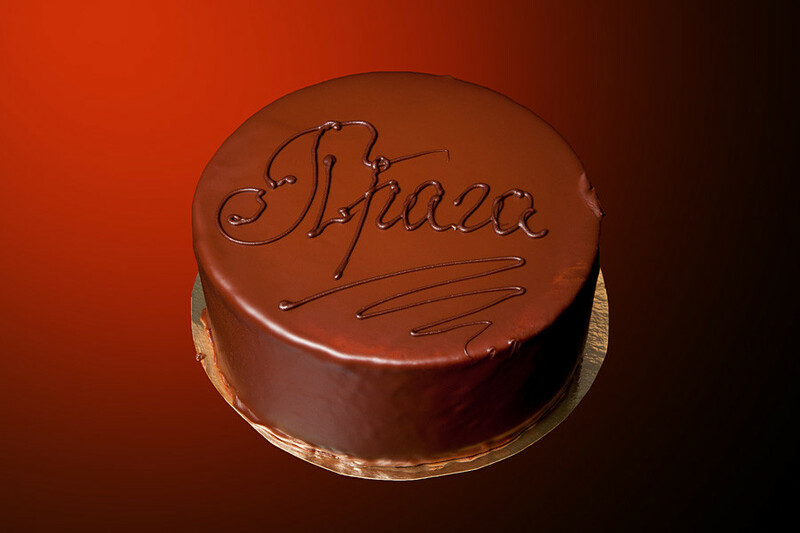 Skazka is a delicious biscuit cake soaked in orange liqueur or cognac. It was one of the most affordable cakes in Soviet times and is decorated with creamy flowers and candied fruits. Delicious. This cake was developed in recent years by Russian confectionery company Fili Baker. It’s based on the different recipes gathered from Russian housewives. The cake has chocolate and vanilla layers, is soaked in vanilla cream, and filled with nuts and cherries. Finally, it’s slathered in a chocolate glaze - perfect for big feasts. Leningrad, the Soviet name for St. Petersburg, is the homeland of Russia’s desserts. Like this Leningradsky cake, made up of several layers of shortcrust pastry and cream, and decorated with creamy flowers and chocolate. 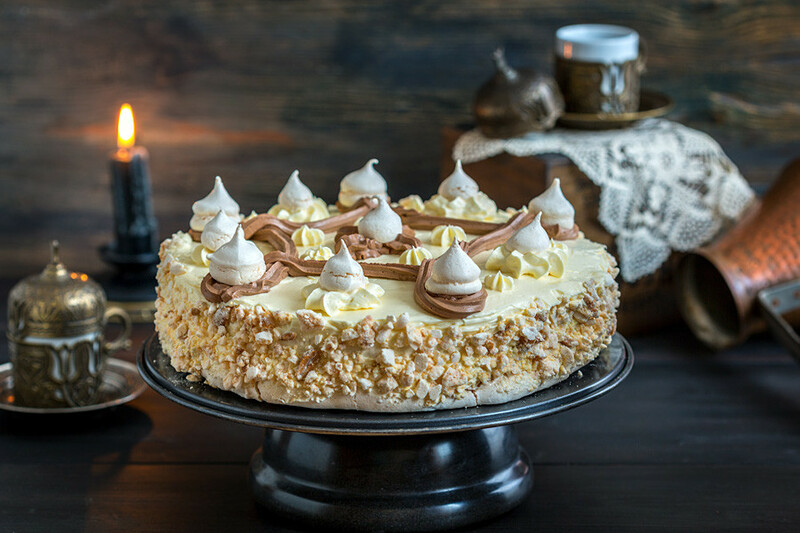 What is the most delectable cake in Russia? Write your thoughts in the comment section below.